Owini is an international company which promotes water and sanitation projects that make a real difference in the lives of millions of people. Owini provides integrated solutions for the Water and Wastewater, operating in the Agricultural, Municipal (Urban and Rural) and Industrial sectors. In each of its projects Owini assumes full responsibility from design to operation. Owini brings to its projects cutting-edge technology by collaborating with its various strategic partners, among them, Amiad, Odis, Nirosoft, Hydrofoglia, GES, IDE, etc. 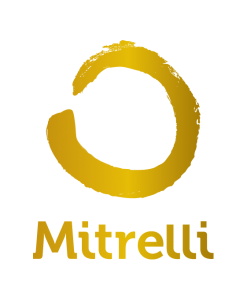 Owini is a subsidiary of Mitrelli Group which provides worldwide innovative turn-key solutions in areas such as Energy, Agriculture, Health, Telecommunications and Education, among other. Supply solutions to global water needs and improve quality of life and health by integrating and implementing the most appropriate sustainable solutions. Providing management of water and wastewater solutions, penetrating municipal, industrial and agriculture segments all over the world. In order to create a real difference in the lives of millions of people, Owini puts an emphasis on customizing each of its projects to the customers needs, on transferring the know-how in order to empower local workforce and on service and maintenance in order to secure the projects future. Owini strives to create a positive social and environmental impact in each of its projects.